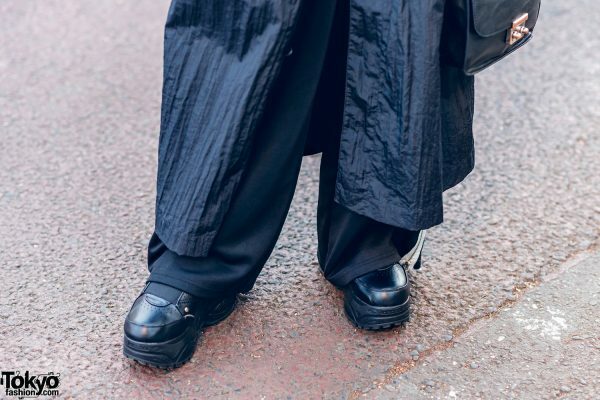 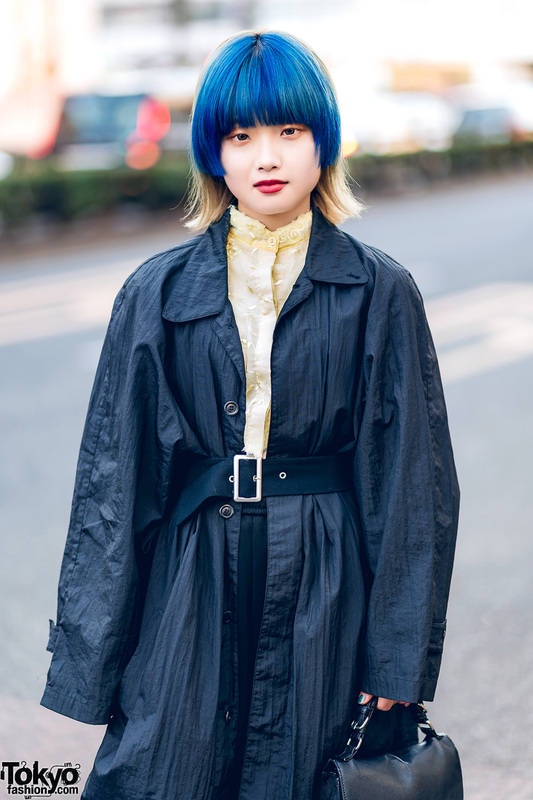 Meet Sakura, a 19-year-old beauty school student whose monochrome streetwear style and blue hair easily made her stand out on the Harajuku street. 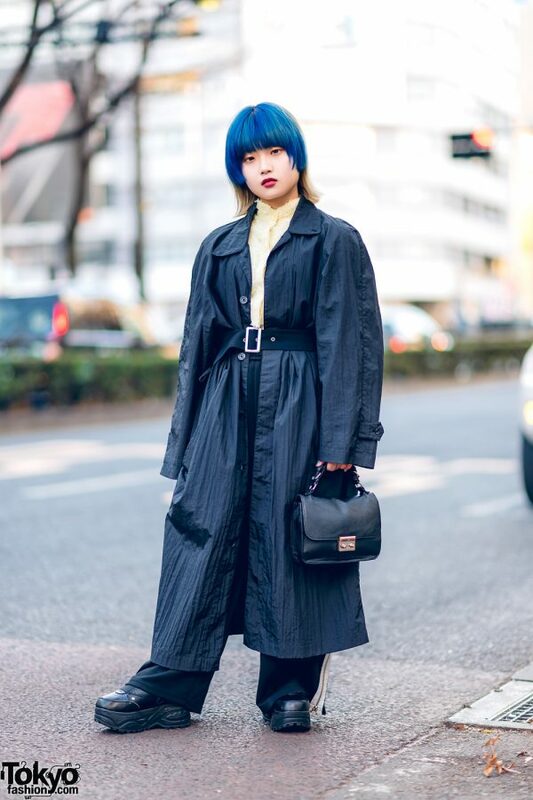 With her blonde bob with blue bangs, Sakura stepped out in a black textured maxi coat from Sprout 2nd, worn over a light yellow mandarin collar blouse with leaf and swirls embroidery from Melange Harajuku. 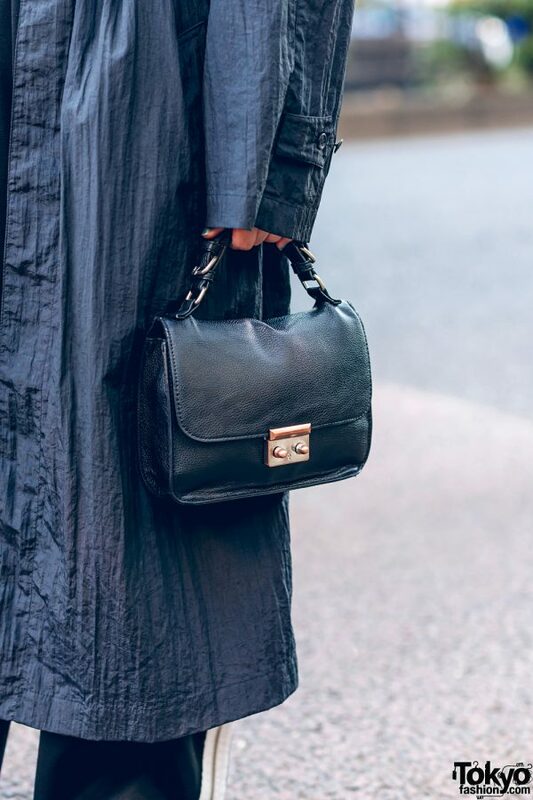 She donned black wide pants with white side stripes and side zipper detailing, stepped into black platform sneakers from Yosuke, and finished off her minimalist style with a black belt and a black leather handbag from Forever 21. 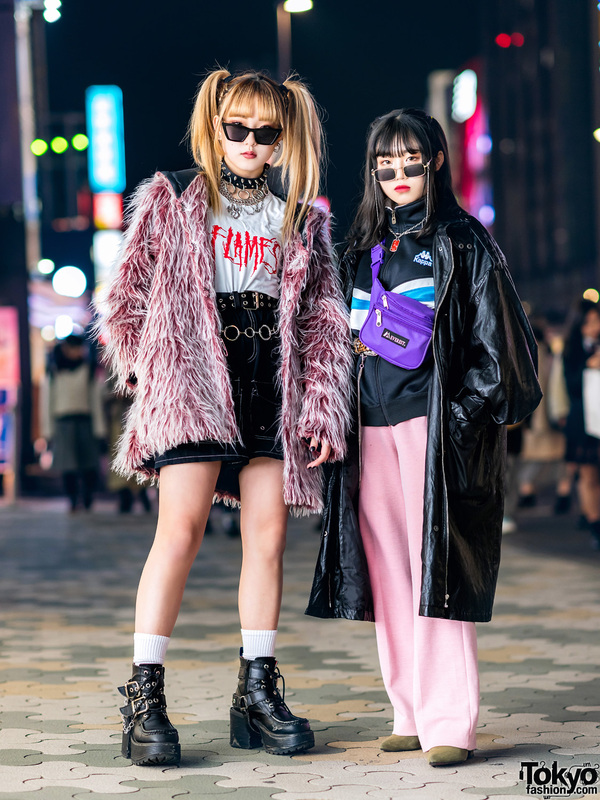 Sakura loves to listen to techno and house music genres, and she is active on Instagram.